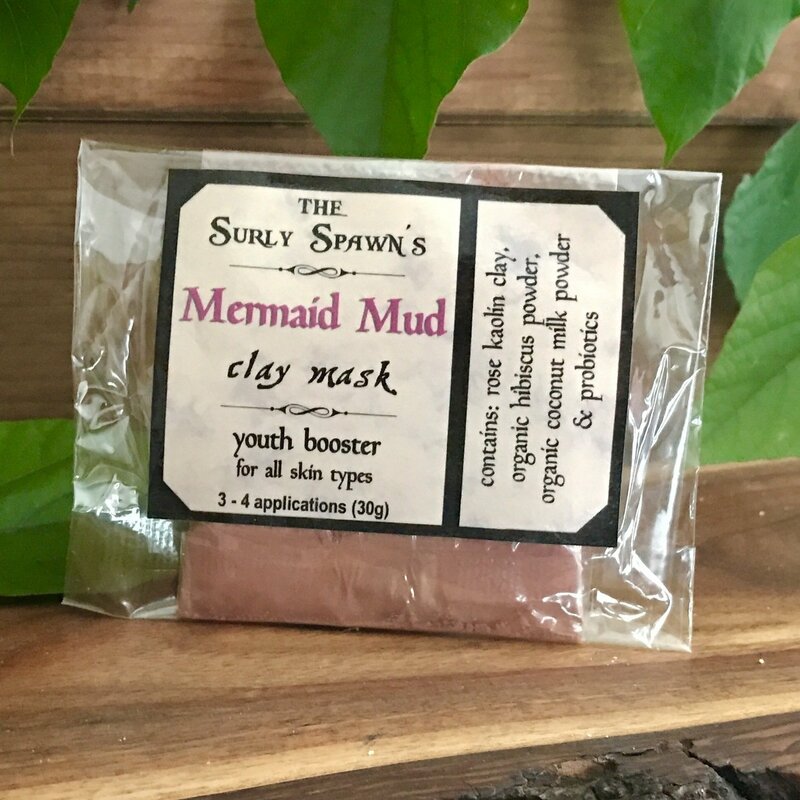 The Surly Spawn's Mermaid Mud "youth booster" clay mask is specially formulated to gently draw out toxins & impurities and has organic hibiscus powder for astringent, anti-oxidant and anti-inflammatory properties. Coconut milk is added for vitamins and moisture while a shot of probiotics are added to maintain the healthy balance. This formula is extra gentle and suitable for even the driest of skin types. ingredients: rose kaolin clay, organic hibiscus powder, organic coconut milk powder and probiotics.